Today’s employers want to hire only those employees they know will be dependable. Besides hiring for technical skills, employers want someone who will get along well with others and someone who can think on their feet when there is a problem. And, while anyone can SAY have these attributes, the ones who get hired can also prove it. So how do you demonstrate ‘soft skills? Step 1. Be honest with yourself so you ‘sell’ only who you really are. Know how and where you do your best work. Are you the person who would rather work with numbers and office technology away from the front desk? If so, your soft skills might include being thorough and well organized. Maybe you have an outgoing and friendly personality that handles customer and staff conflicts without ever breaking a sweat. Knowing your strengths means you will be more likely to set yourself up for success once you get hired. Step 2. Have in mind ready examples of how you work. Be prepared with specific examples to questions that ask how you might fit into an existing team. It’s fine to write these on a notepad with a couple of words to remind you of the example. Think where you’ve done well at that before, even if it hasn’t been paid work. Volunteer assignments, a work softball league or school projects where you’ve worked in a group are good examples. Step 3. Show your evidence. Evidence means things like your transcripts of grades, attendance records, certificates you’ve earned, and letters of recommendation. Our best externships go to the students who have an attendance record of 90% or better. Why? Attendance at school is a great predictor of whether you’ll make it to work on time every day when others are counting on you. A past boss or coach can also provide a reference of your dependability. “She never let us down!” That’s music to an employer’s ears. Think of your portfolio as your ‘Show and Tell’ book. You can answer a question by opening up your book to show an example with real credibility. Ask for a written letter of recommendation from instructors and from someone who has seen you successfully complete any kind of project. Be ready to tell why it wasn’t always easy but you got it done! Step 4. 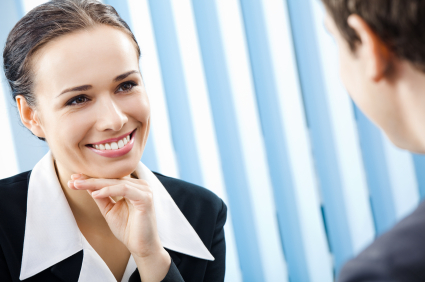 Demonstrate your soft skills in how you handle yourself in the interview. No matter what happens, stay calm and be a respectful, good listener. Employers want new hires who can keep their cool in good days and bad. Sometimes, an interview may even rile you a little to see how you respond. Be ready for this interview question: “Can you tell me of an example where you were faced with a conflict and how you handled it?” Even the question brings up the fight/flight response! If you are prepared, you can face tough questions like this head-on. To get ready, think about how you handle conflict in personal life and/or on the job when you’re at your best. Maybe you are good at waiting for at least an hour before you reply to an email that takes a shot. Maybe you once took an angry customer and charmed them into coming back. Step 5. Don’t Be Too Shy to Share Your Strengths. Whether you are the one who can be trusted to handle sensitive customer records or the team member who will greet everyone with a smile, this is the time to share your stuff. If interviewers don’t ask, find ways to bring up how you work, not just what you know. When you give evidence of your soft skills, you’ll have a rock-solid advantage in your next interview.